uploading image & delivery uploading image & delivery (required)I have understood how to upload my image and understand that any delay in uploading will result in a delay in delivery. uploading image & delivery (required)I have understood how to upload my image and understand that any delay in uploading will result in a delay in delivery. uploading image & delivery (required)I have understood how to upload my image and understand that any delay in uploading will result in a delay in delivery. uploading image & delivery (required)I have understood how to upload my image and understand that any delay in uploading will result in a delay in delivery. 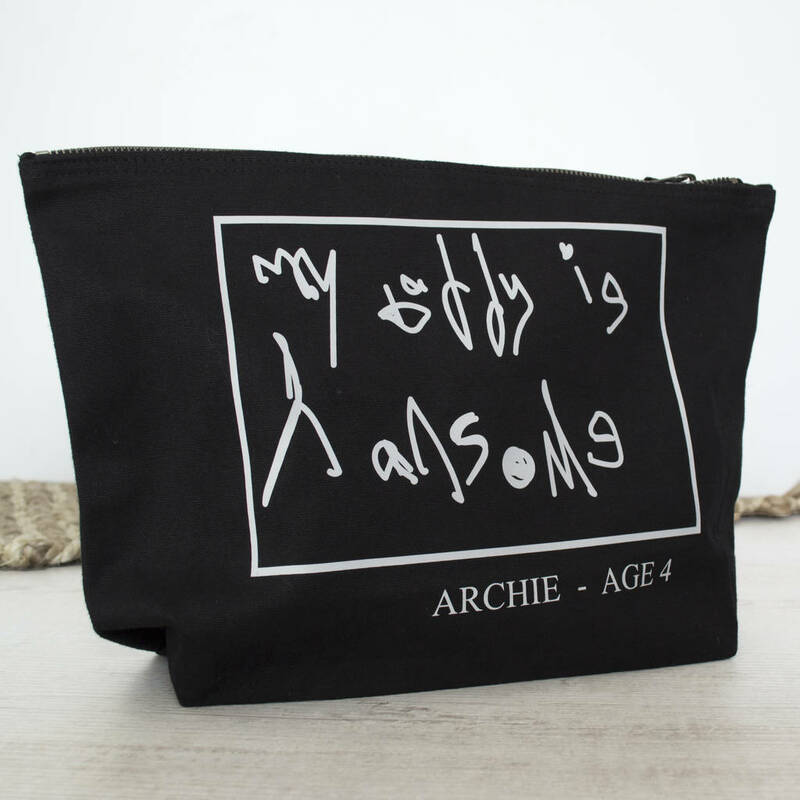 Design your own wash bag by uploading a photo of your children's handwriting! 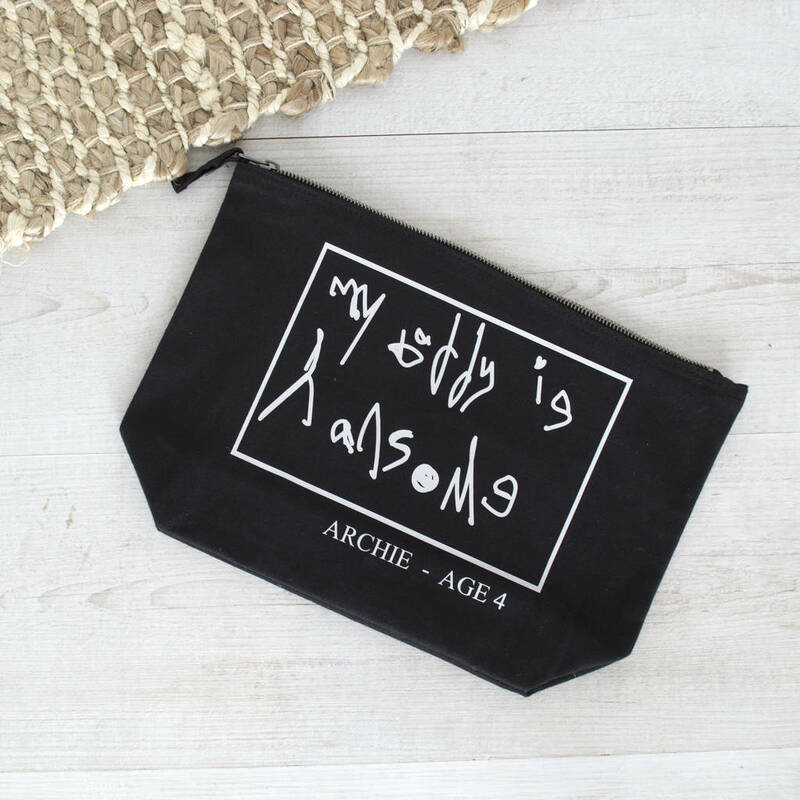 Not only is this wash bag extremely useful - it makes a great keepsake for dad to remember his child in their younger days. 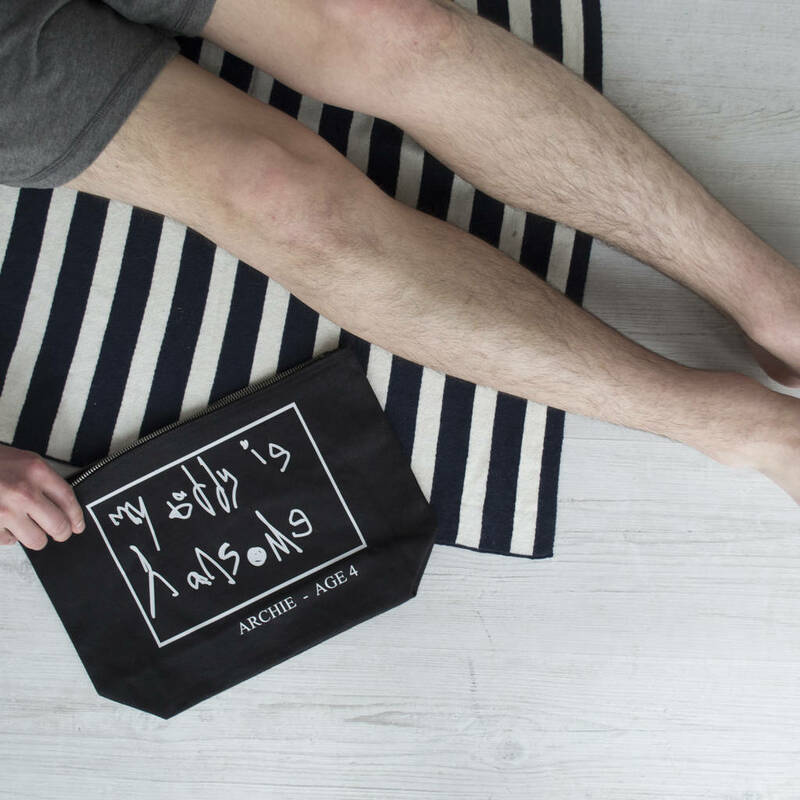 Give a gift to remember this Father's Day with your children's handwriting on a wash bag which can be personalised with the child's name and age. All printed to order in our Derbyshire workshop. TO UPLOAD YOUR IMAGE Once you have put the order through and payment has been made, please follow these steps- Go to ‘my orders’- Submit an order enquiry- Attach the image to this enquiry and send (this can be done directly from a phone or computer)- If you have any issues with uploading please get in touch as soon as possible- Once the photo has been uploaded, your order will be accepted and you will receive confirmation that your order has been accepted. Note: any delay in uploading your image will mean a delay to the expected delivery date.